U.S. Postal Service Lost $5.5 Billion in 2014; Its Average Vehicle Gets 10 M.P.G. The U.S. Postal Service lost $5.5 billion in 2014 and has lost many more billions over the past decade. Even as global trade, communications and shipping has skyrocketed, the Postal Service can’t operate efficiently. U.S. Postal workers are greatly overpaid. Hundreds, even thousands, apply for every opening. It might be said that the PRIMARY purpose of the Postal Service is to pad the accounts of U.S. Postal workers. Delivering mail is secondary. The Postal Service’ old fleet of delivery vehicles averages about 10 miles per gallon. “To illustrate how silly this is, a 2015 Ford F-150 pickup truck has a combined mileage of 22 mpg—more than double that of the much smaller [U.S.P.S. vehicle].” Read Ken Blackwell’s article here. During the mid-1800s, Lysander Spooner started a mail delivery business that easily delivered mail at lower prices than the government postal service. Spooner’s prices were lower, and his delivery times were shorter. Hundreds of thousands of smiling customers benefited. But the U.S. government did not appreciate the competition. They shut Spooner down using the full military and law enforcement powers of the government–claiming (falsely) that the Constitution grants a postal monopoly to the government. In fact, the Constitution merely authorizes Congress to provide mail service. 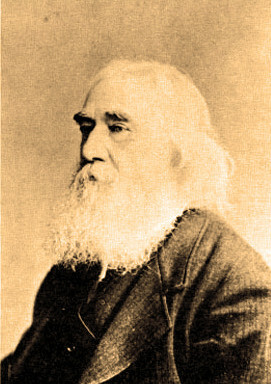 As Spooner pointed out in the 1800s, the Constitution’s “freedom of the press” provision required that mail could not be a government monopoly. There can be no freedom of the press when government controls the delivery of the printed word.